Google's Android platform won't have the same impact on the mobile industry as Google had on the web when it launched 10 years ago. So predicts John Forsyth, vice president of strategy at rival OS developer Symbian. Google's lack of experience in the mobile market means that Android won't change the mobile world in the same way Google shaped the internet, Forsyth told BBC News. "We've seen it all before"
"Making a mobile operating system is a very specialised form of rocket science," Forsyth said. "It's not search rocket science." Forsyth continued, saying Symbian has seen it all before. "About every three months this year there has been a mobile Linux initiative of some sort launched. "It's a bit like the common cold. It keeps coming round and then we go back to business. We don't participate in these, full stop. We make our own platform and we are focused on driving that into the mobile phone market at large ever more aggressively," he said. 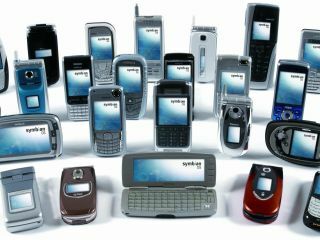 Symbian's operating system is currently powering some 165 million handsets - around three quarters of all smartphones. Google's newly launched Open Handset Alliance brings together 34 mobile phone firms to develop Android, an open platform for mobile phones.